LAK’19 will be hosted at Arizona State University (Tempe Campus). Campus is eight miles (13 km) east of downtown Phoenix and 6 miles (10 km) from Phoenix Sky Harbor International Airport. The Phoenix Metropolitan Area (or simply “The Valley”) is surrounded by beautiful mountain ranges. The Valley has its roots the American Old West, but has modern museums, shopping, theatre, and dining. Phoenix is home to beautiful golf courses, Spring Training baseball, and has more land designated for parks and preserves than any other major city in the U.S.
ASU has 80,000 students who attend classes at one of the five campuses and more than 35,000 students enrolled in online courses. 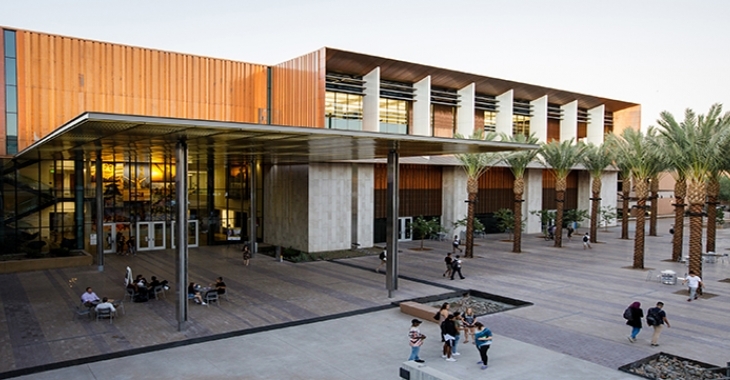 The conference will be held in several buildings around the center of ASU’s Tempe campus, including the Memorial Union and the new Student Pavilion, a multi-use space that is Net Zero Energy building and delivers green qualities including renewable energy, energy-efficiency and Zero Waste.